MMAP integrated OOH solutions has recently celebrated its 4900th line item of unique OOH inventory with its most recent media owner addition from Oracle Media. 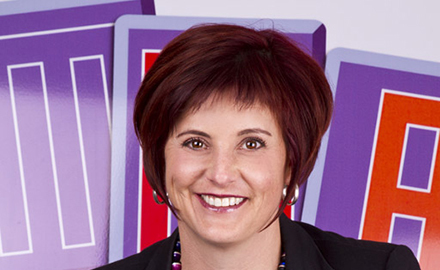 We have consistently over the years worked to improve the quality and depth of our proprietary database asset and it has become invaluable not only for sourcing the best OOH sites, but also for achieving rapid turn around times for our clients which has a quantum effect in their OOH planning capacity and ability says Michele Munro, Founder and Managing Director of MMAP. MMAP’s database is a comprehensive tool that lists the inventory of 150 media owners and has been overlaid with intelligent functionality that allows for custom searches and slick transfers into client proposal templates which not only cuts down on the admin time for our clients but allows MMAP to add value all the way through to the end-user or brand, says Munro. Our superstar database manager Nontobekho, has just completed phase 1 of a major database cleanup project. This project is being undertaken to ensure that our data is as up to date and as rich as possible. We will be implementing phase 2 of the database project soon and this entire process is being done with our clients in mind, the primary question that has informed the project design is ‘what does the best information look like?’ from the perspective of our agency clients. Over the next 12 months we will be releasing some very exciting enhancements to our database, which will unlock the ‘intelligence’ potential of the data, concludes Munro. MMAP Integrated Outdoor Solutions is a OOH sales house that sells OOH on behalf of media owners to media agencies.